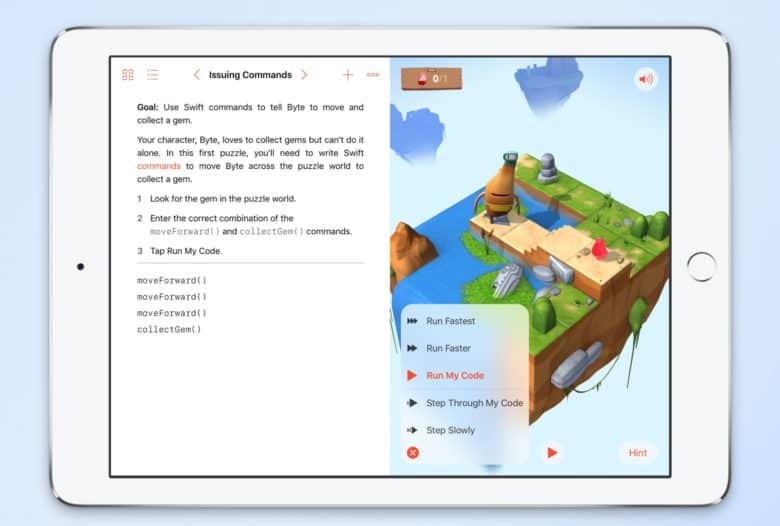 Swift Playgrounds is Apple's tool for learning to code iPhone and iPad software. It's the first step to earning one of the high iOS developer salaries. Want to make mad bank? Learn to program iOS apps. The career website Dice compiled average iOS developer salaries, and the numbers are a touch breathtaking. The results are broken out by geographical area, with cities that have the highest costs of living also offering the most generous salaries. But even the lowest paychecks are enough to get that Porsche you’ve been wanting. Or a home and family. Whichever. San Francisco and New York are very expensive places to live. But if you’re an iOS developer, you can expect to pull in about $126,000, which should keep a roof over your head. Los Angeles and Seattle salaries are almost as good, at roughly $124,000 and $123,000 respectively. Austen and Boston are clumped around $112,000, while Chicago is at $103,000. iPhone developer salaries in Atlanta and Dallas are down near a measly $98,000-$99,000. Dice lists thousands of job openings for information technology and engineering positions.It searched through its database for iOS developers to compile this list. Just keep in mind, these are average salaries, not startling salaries. It takes years of experience to make this much. For comparison, the national median salary for Android developers is approximately $95,000, according to PayScale. Rival Glassdoor puts the number at about $98,000. Swift is a programming language for iOS software. That means a good place to start working toward one of those generous iOS developer salaries is Swift Playgrounds, a graphical tool designed to teach coding to kids. With it, students create “playgrounds” by piecing together lines of code. Each change they make is immediately reflected in the playground. It teaches all the basics of coding, like loops, variables, and parameters. And there’s Apple’s coding academy in Italy, a nine-month program that covers how to develop and market apps.